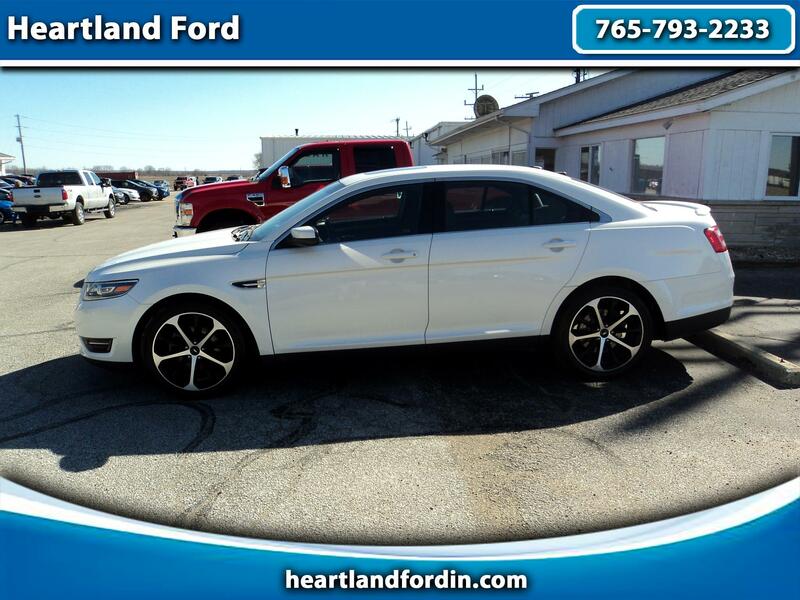 THIS IS AN EXQUISITE ONE OWNER, CLEAN CARFAX SEL TAURUS THAT YOU WON'T WANT TO MISS! SUPER LOW MILES, EXTRA CLEAN, AND LOADED WITH EQUIPMENT, LIKE POWER HEATED LEATHER SEATS, POWER MOONROOF, 20" EBONY WHEELS, NAVIGATION, REAR CAMERA, ALL POWER EQUIPMENT AND MORE! ALSO INCLUDES OUR EXCLUSIVE HEARTLAND FORD LIFETIME LIMITED POWERTRAIN WARRANTY FOR YOUR LIFETIME OF PEACE OF MIND OWNERSHIP. STOP BY TODAY FOR A TEST DRIVE!